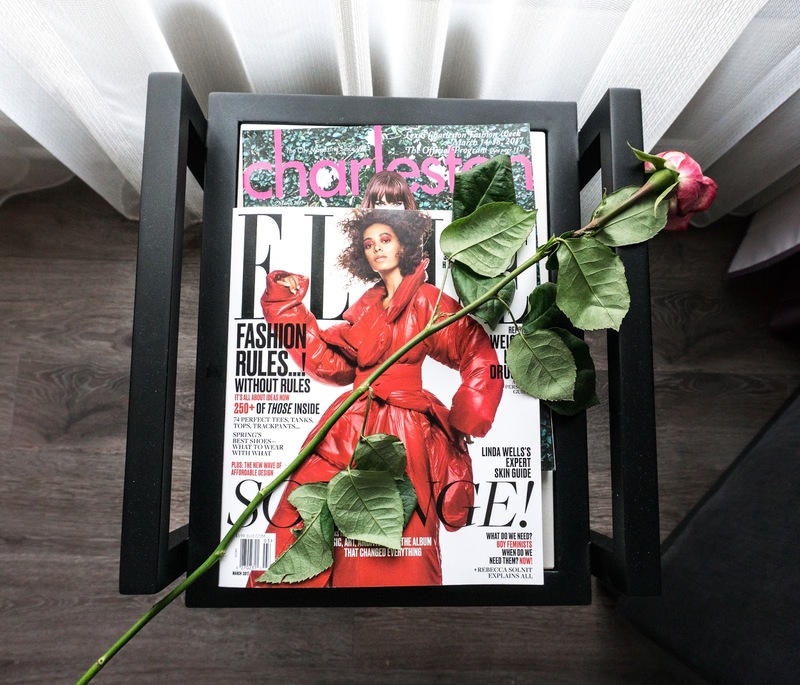 My boyfriend and I recently made a weekend trip to Charleston and had such an amazing time together, so I thought I would put together a weekend travel guide for you all! 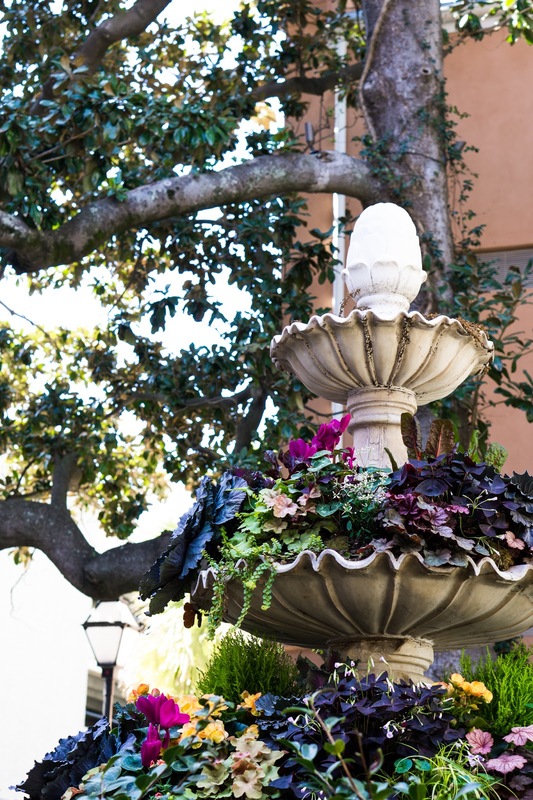 Charleston is one of those picturesque, magical places that provides inspiration around every turn. During the spring the city is filled with vibrant, blooming flowers, and every street and alleyway leaves something beautiful to be discovered. It is also the perfect place to escape to if you are looking for a quick, yet gorgeous, weekend getaway. While we were not able to experience all that Charleston has to offer, we were still able to do a lot of sightseeing, eat good food (probably too much), and enjoy all of the beauty that is Charleston! One of the great things about Charleston is that it is a city that is easily walkable by foot. 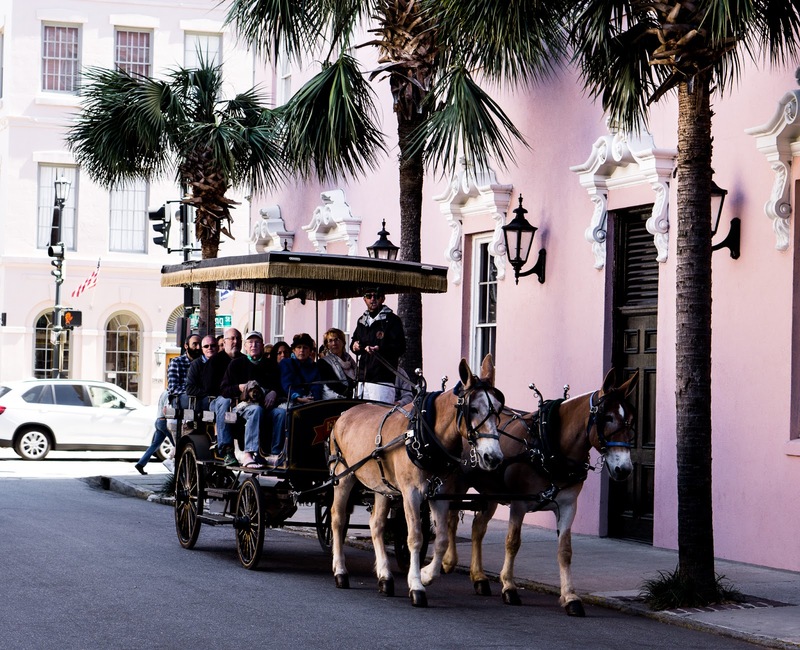 For those of you who prefer a different method of transportation, there are other options available, such as historic carriage tours or bike rentals that make exploring the city a bit more memorable. 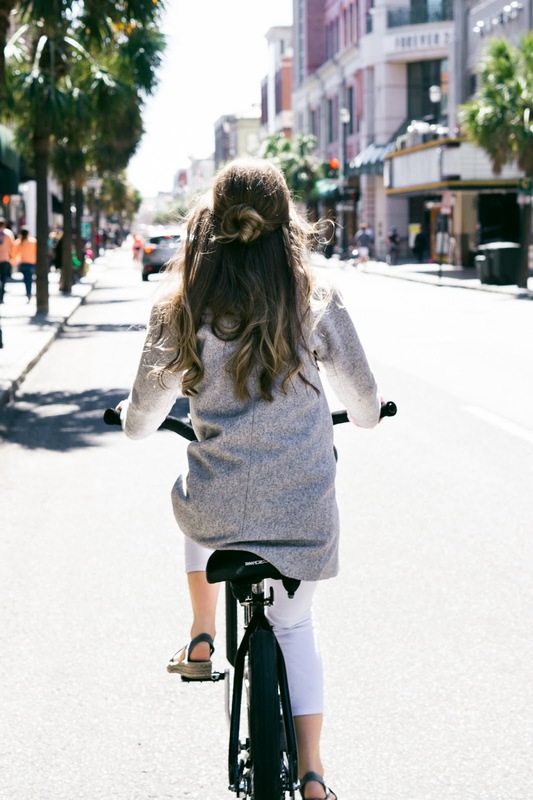 If it is your first time visiting the city, I would highly recommend taking a carriage tour in order to learn about the history of Charleston, but my all time favorite mode of transport for exploring is by bike! 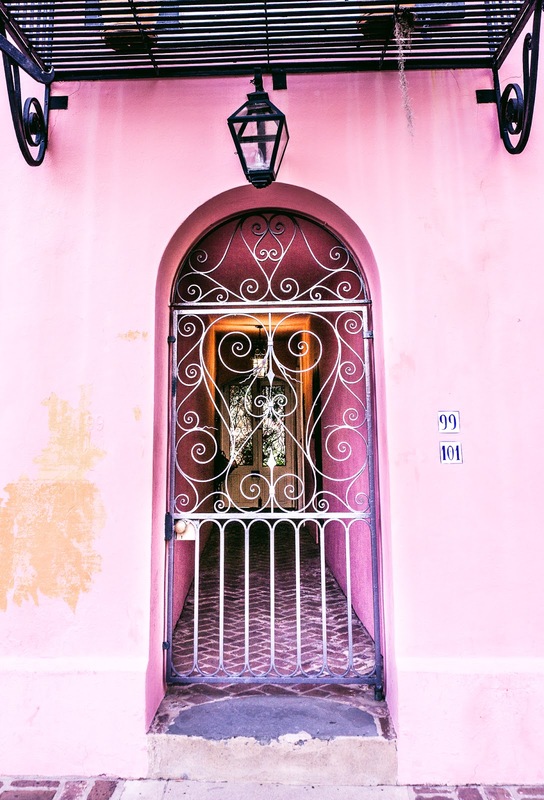 While sightseeing, the colorful buildings and ornate wrought-iron gates provide picturesque spots for photo opportunities (for those of you who are as Instagram obsessed as I am haha). 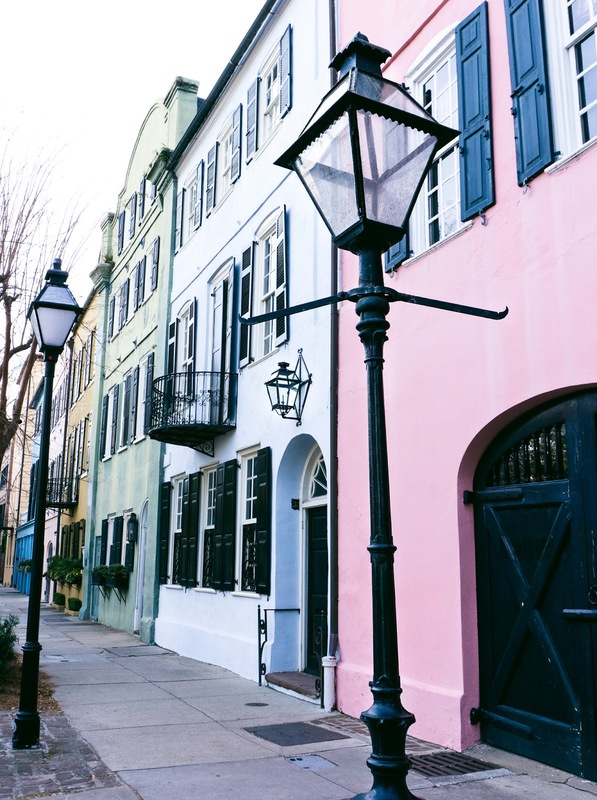 Be sure to check out the colorful Rainbow Row to snap a few pictures, and then head along to The Battery to take a relaxing walk by the water. 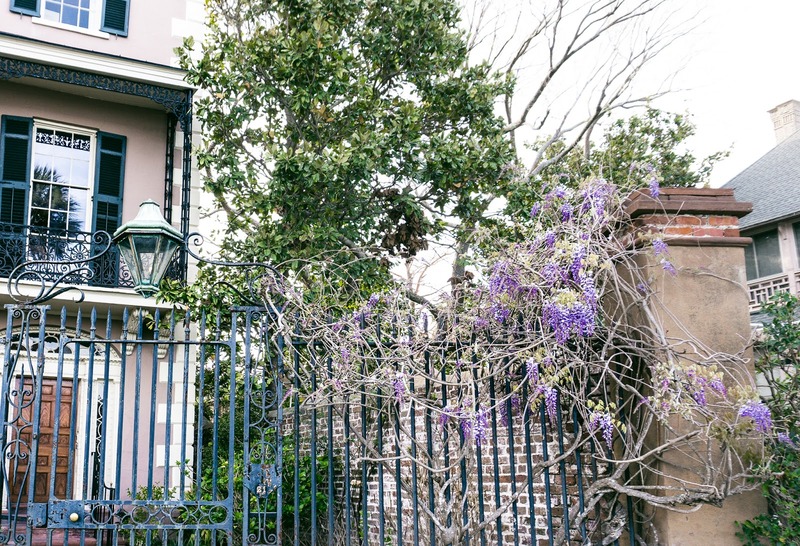 If you have more time, Charleston also has a great variety of historic homes, museums and plantations to explore, which really brings the southern history to life! During our trip we stayed at the Renaissance Hotel. 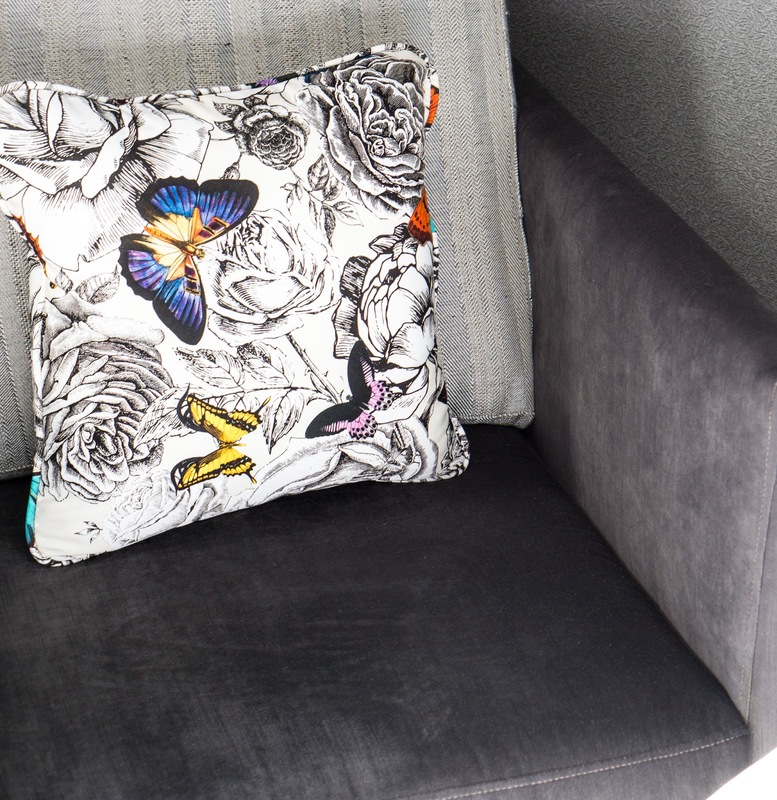 The hotel itself is a luxury filled with modern art and decor (and bunny wallpaper - who wouldn't want that? ), and it is also in the perfect location for exploring the city! 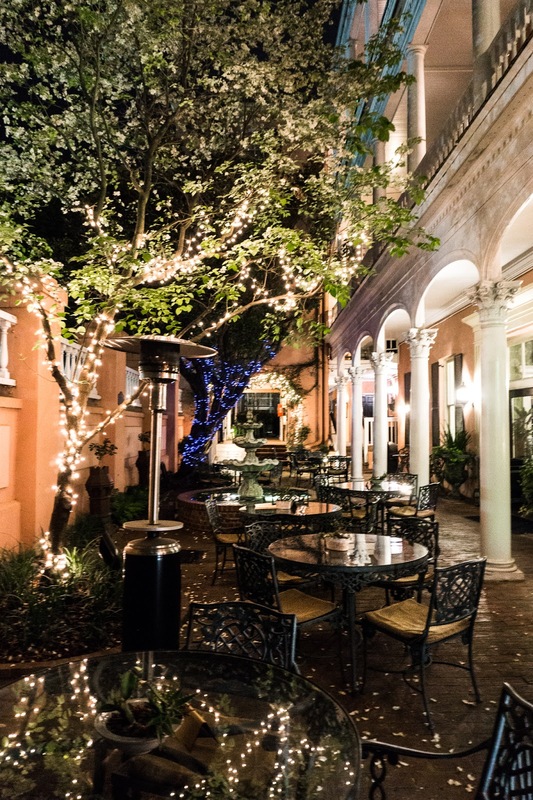 Within a couple of minutes you will find yourself on King Street, which is the hot spot for all of the shoppers out there, and it is an easy walk to all of the best restaurants, coffee shops and the famous Charleston City Market. 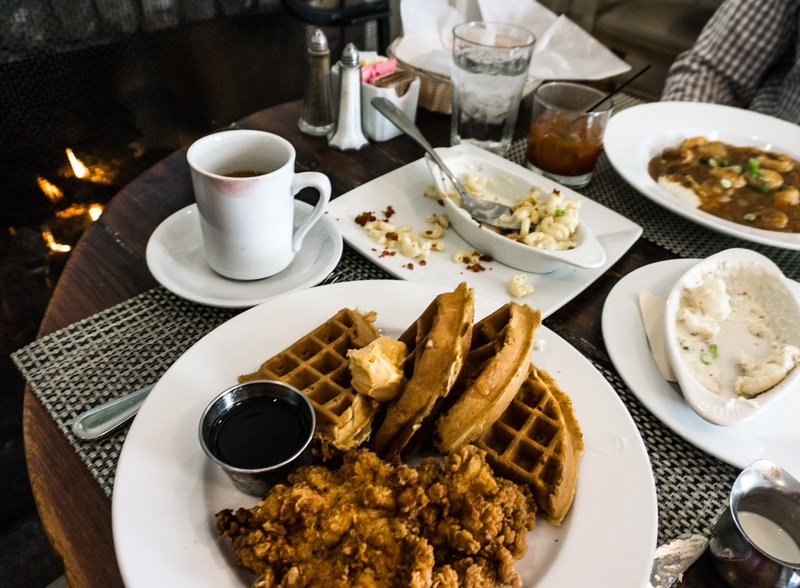 For brunch, we visited the famous Poogan's Porch where we sat by the cute and cozy fireplace and ate traditional southern style dishes, such as chicken and waffles, biscuits with gravy, macaroni and cheese, and shrimp and grits. Needless to say I was glad we had a full day of bike riding ahead of us! For dinner we ate at Eli's Table, which was probably one of the best overall dining experiences I have ever had. It just so happened to be ladies' night when we dined there, so every lady was presented with a fresh rose, and they provided every couple with complimentary champagne. 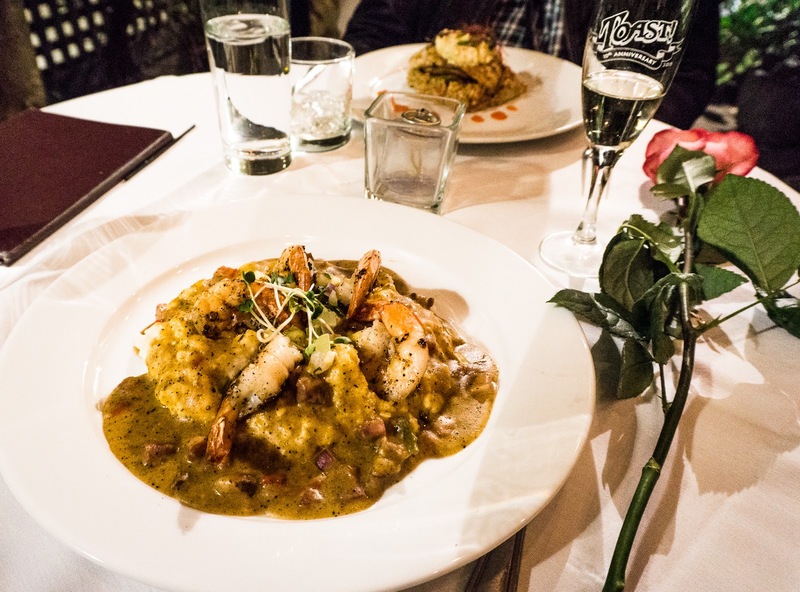 The staff was friendly, the service was incredible, and the shrimp and grits were the best I have ever tasted! For the doughnut lovers out there, be sure to check out Glazed Doughnuts! They have a variety of unique favors, such as maple bacon and lemon poppyseed, and who doesn't love a good doughnut? 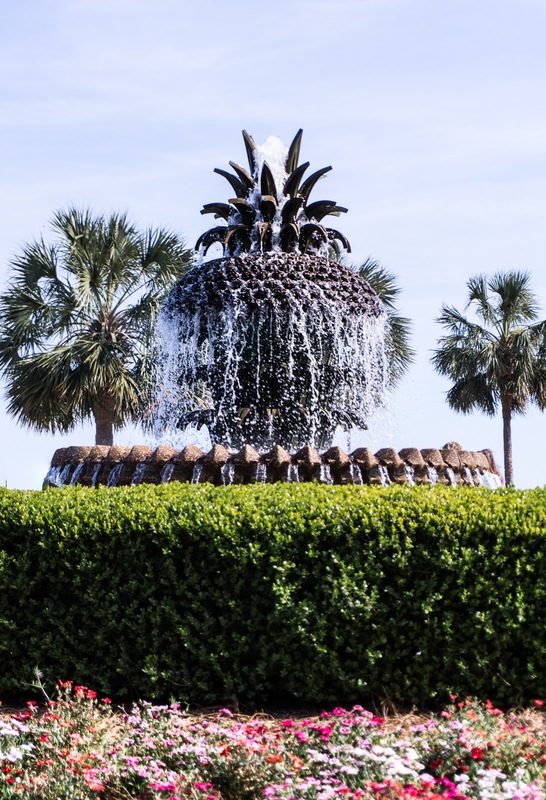 I hope you all enjoyed reading about some of my favorite places in Charleston, and I hope you get a chance to experience this beautiful, historic city, even if only for a weekend! 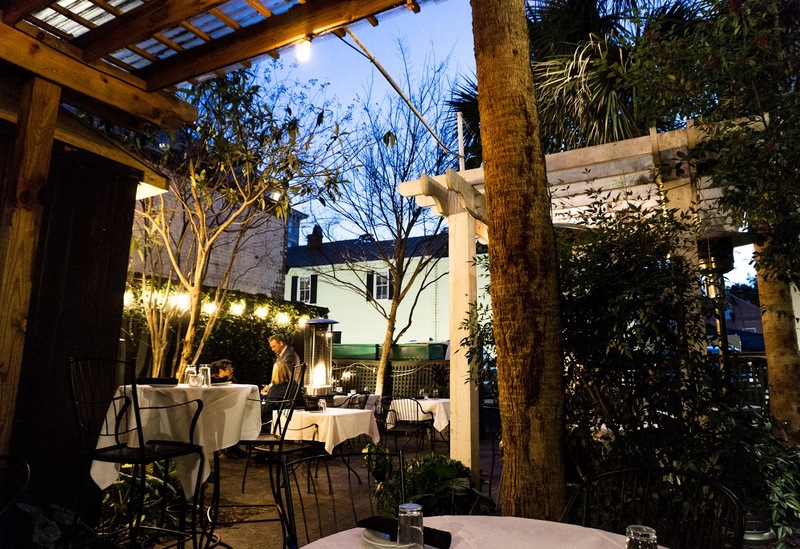 If you have been to Charleston, leave a comment down below telling me about some of your favorite places and restaurants! Awesome Charleston, itinerary. I've been to many of those spots and they are hidden gems! Gosh this looks like SO much fun!! the food. the architecture. sounds like a blast! This looks like such a beautiful weekend getaway! So gorgeous and fun. Have an awesome weekend! Wow! Charleston is absolutely gorgeous! I have always wanted to visit. I will definitely use all your suggestions when I finally make it that way! Charleston looks like such a cool city! I definitely need to take a visit out there one day.